Yeah, I’m still waiting. 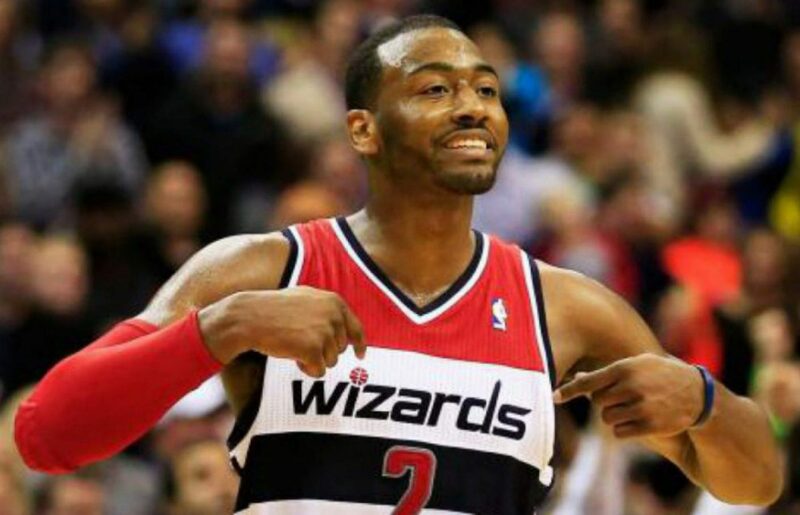 Even the most optimistic Wizards fan would never have predicted that. I think we were all happy to avoid Chicago and were just looking to be competitive after limping into the playoffs. Regardless, this team flipped the switch and ended Toronto’s season real quick (Drake’s voice). Here are the main takeaways from the series. Let’s start with the obvious; the Paul Pierce signing. The Truth proved to everyone once again that even at 37 years old, teams want him solely for his playoff experience. Just like the Wizards, Pierce struggled mightily since the All-Star break.Randy Wittman rested him the last few games of the season to get him ready for the playoffs and boy was he ready. Not once did Pierce force anything in this series (ok maybe a few heat checks). At times during the regular season, he was quick to jack up threes, take fade away jumpers, or drive looking to get fouled resulting in a turnover. Not in this series and specifically not in either game in Toronto. The entire series, he played within the system. What was most impressive was his momentum-changing shots. In Game 1, he hit a three-pointer to start overtime. In Games 3 and 4 he hit momentum-changing shots (often early in the shot clock) to cut the lead or get the pendulum swinging back the Wizards’ way. In yesterday’s game with the Wizards up nine and the Raptors making a mini run, Beal found Pierce in the corner (early in the shot clock) for a three pointer to stretch the lead to 12 and force a time out by the Raptors. Yes, threes at the end of the game are important, but those momentum shots are just as important. Raise your hand again please if you thought Randy Wittman would out coach Dwane Casey in all four games. Ever since this team began its downward spiral, all fingers were pointed at Randy Wittman. Poor coaching, terrible offense, terrible rotations, on and on and on. People seem to forget that Wittman is a defensive guy first. The Raptors averaged 104 points per game during the regular season. The Wizards held them to 96.3 per game in this series. Kyle Lowry (who had an awful series) was held 5.5 points below his season average whereas Lou Williams was held 3 points below his season average. I was begging for it early in the season and finally got my wish; the Wizards learned how to guard the pick and roll effectively. Not only that, the bigs hedged hard on the Raptors’ ball handlers enabling the Wizards defenders to recover. What was very surprising, which we did little of this season was trap the ball and at key times. If you remember late in the fourth quarter of Game 1, the Raptors ran a play for DeMar DeRozan, who was instantly trapped on the sideline and forced to call a timeout. On the next play, the Wizards trapped DeRozan again. He didn’t turn it over, but it forced him into an extremely tough pass. Lastly, the trap paid off in the overtime session when the Wizards turned over Lou Williams on yet another trap. Wittman’s rotations were right on par too. As expected, he tightened the bench come playoff time. Bringing Drew Gooden in at about the 5 minute mark of the first quarter allowed the team to matchup with the Raptors stretch 4s. Bringing in Sessions for Beal at around the 4 minute mark enabled Beal to be energized when starting the second quarter with the reserves. Aside from the clipboard fiasco, Randy Wittman put on a coaching clinic against a guy considered an up and coming coach. The bench played the best it has maybe all season during any four-game stretch. Otto Porter and Drew Gooden averaged 9.5 and 9 points respectively, both way above their regular season averages. Not only that, both Porter and Gooden shot 50% from three-point range. The hustle plays, rebounds, tough defense; it had Otto Porter so confident even he was talking noise to some of the Raptors players. Let’s not forget about Ramon Sessions either. When the much-needed trade was made for a quicker backup point guard, fans had a pretty ho-hum reaction hearing we acquired Ramon Sessions for Andre Miller. Sessions isn’t big nor is he the best shooter. But he puts pressure on you in transition and is unafraid to attack the hole. Even though he doesn’t convert on all of his transition layups, he gets the defense back peddling. He plays within the offense and understands his role extremely well. He never jacks up poor shots and can hit three pointers when needed. In addition to all that, he averaged less than one turnover per game in the series. Exactly what you look for in your backup point guard. There were times throughout the season where if Pierce wasn’t on from long range, we might not have hit any three pointers in those games. The Wizards decided that the playoffs would be a good time to stop taking long twos and take two to three steps back and take three pointers. They started falling too, very reminiscent of the beginning of the season. The Wizards hit 6, 10, 12, and 15 three-pointers in the series, 15 being an all-time franchise record. Not only that, all of the shots came within the offense, not a lot of forced shots outside of one or two Pierce heat checks. This is a huge improvement for a team who averaged just 6 three-pointers made per game. Three-point shooting was no doubt one of the deciding factors in games two and three. The avalanche that occurred in game four was just the icing on the cake. The Wizards smoked an under matched Raptors team that was very fun for us Wizards fans to watch. John Wall, Bradley Beal, and Marcin Gortat were all rock solid as well. If the Wizards can keep up THIS type of basketball and not the kind played during January – March, a trip to the Eastern Conference Finals is very well within reach.